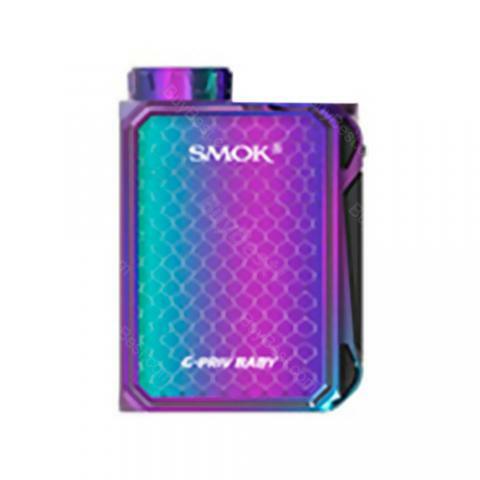 85W Smok G-Priv Baby Touch Screen TC Mod Luxe Edition, which comes with upgraded 2.0-inch touch screen to clearly display status of vape, adopts innovative virtual buttons for easier operation. 85W Smok G-Priv Baby Touch Screen TC Mod Luxe Edition, which comes with upgraded 2.0-inch touch screen to clearly display status of vape, adopts innovative virtual buttons for easier operation. It supports VW, TC and puffs output modes to create pure flavor and different cloud. You will have an enjoyable vaping experience with this mod. • Three-month warranty for G-Priv Baby Mod.